Here’s the start of an occasional series of photos of images captured during typical walks in the woods. I hope you enjoy them. 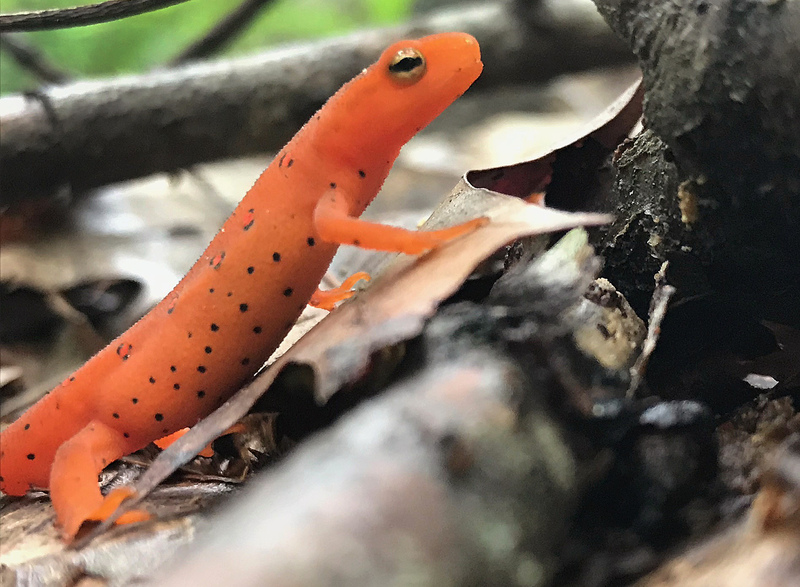 An eft works its way through the woods in Danbury, Conn., during the summer of 2018. I got this guy (or gal) after a rainy weekday afternoon. This is an eft, the terrestrial stage of a newt. The next stage will be adulthood, when the critter returns to the water (where it started as a larva.) They are commonly found in New England woods, especially after wet weather. 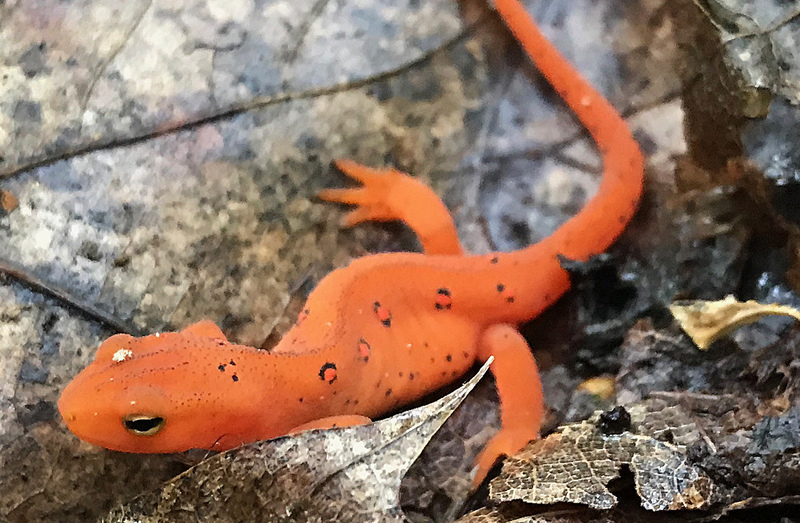 They can be so common, in fact, that hikers have to watch their step if the timing and weather conditions are just right for efts to be out and about. This entry was posted in Uncategorized and tagged eft stage, newt by Chris Bosak. Bookmark the permalink. Beautiful photos..love those little critters. Use to see them as a kid all the time.